Fujifilm Registered TWO Cameras with Bluetooth to Come Soon… Fujifilm X-E3 and… X80 or X-T2S? 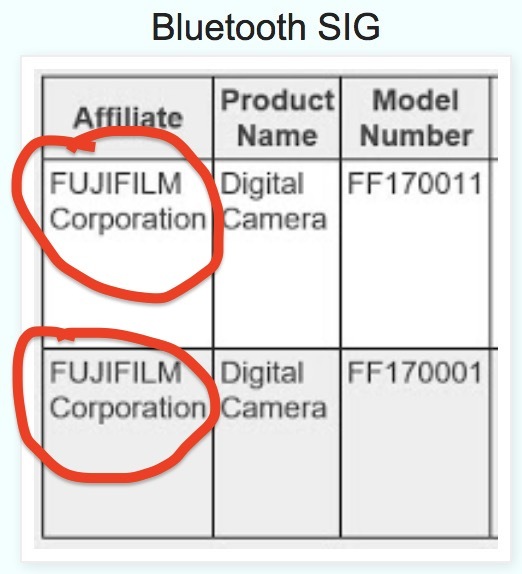 Fujifilm has registered two cameras with bluetooth. The code name of Fujifilm’s unreleased camera was registered in China MIIT and Bluetooth SIG. Two models of Fujifilm’s unreleased cameras were registered as overseas certification bodies. I think that FF 170001 is X – E 3 to be announced soon, but what will be the other model?